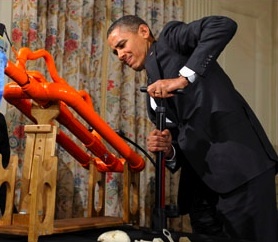 Last spring, President Obama stated emphatically that, “Emphasizing STEM education—especially to girls and minority students–is one of the most important efforts the U.S. can make if it hopes to produce college- and career-ready students”. Linda Kekelis, Executive Director of Techbridge, a local STEM afterschool program for girls, is a leading innovator of how to do this successfully. Below we offer an interview with Linda Kekelis. Q: The Learning in Afterschool & Summer learning principles state that learning should be active, collaborative, meaningful to the participants, support mastery, and expand the horizons of those who participate. Can you comment on how important these principles are to facilitating young people’s learning? A: Techbridge believes in the importance of building a strong network of support for girls that provides them with experiences that support mastery, are relevant to their interests, and expand their options. Many of the girls in Techbridge have aspirations to do well in school and find a career that is personally and professionally rewarding. Unfortunately, without academic and career guidance along with enrichment opportunities, many girls in our community lose their dreams of higher education and drop out of the technology or engineering pipeline. Techbridge creates a network of support on which peers model appropriate behavior, positive attitudes toward learning and work, and caring behavior toward others. The rules of behavior are established at the start of each Techbridge program by the girls themselves through rule and expectations they jointly develop in a respect statement. “It’s a safe place to explore things and try to develop skills and stuff …It’s a place where if you mess up, it’s okay,” shared a Techbridge student. While hands-on projects can spark an interest in a young girl, we have found that role models and field trips to worksites are instrumental in getting girls interested in a career in a technical field. This is particularly important for girls who are the first in their families to attend college, or who don’t have role models who are in professional careers. Last year on evaluation surveys, 83% of Techbridge participants cited a greater interest in a career in technology, science or engineering because of a role model they met or a company they visited. The opportunity to see real-world applications of technology, science, and engineering and meet with role models is rare for most of our girls, yet as we have seen, can be a very impactful influence in expanding their horizons. Q: As you look forward to the future of out-of-school learning, what is most on your mind? A: Techbridge has seen firsthand the importance of sustained STEM programming for girls and recognizes that our success has been due to innovative curricula that inspire youth and that make connections to STEM careers, role models that are well trained, and personnel that are confident and supported in delivering STEM programming. As I look to the future of OST learning, I believe it is important that training and resources are provided to those who support after-school programs. Since 2010, Techbridge has partnered with the Oakland After-School Programs Office on the Frontiers for Urban Science Exploration (FUSE) project to develop a professional learning community for introducing informal science education to after-school programs in elementary schools in Oakland. Monthly trainings are held to enhance teaching inquiry-based science, promote science career exploration, and engage families. Coaching is provided to improve science teaching. The results of this project have been very positive and for me, highlight the importance of providing sustained support for staff that want to bring STEM to youth in their after-school programs but may not have the experience or expertise in these fields. Additionally, it is important to make connections between activities and career opportunities. Resources to support career exploration and the inclusion of role models in after-school are needed to make them successful. Q: What do you see as the risks and opportunities for afterschool programs in the decade ahead? A: I see lots of opportunities for after-school programs ahead. After-school programs can allow students to spend more time beyond the school day interacting with their teachers and peers. Through the curriculum and hands-on projects, instructors have the opportunity to provide a caring, supportive environment to nurture and engage youth’s interest in STEM. The close-knit environment of after-school programs can enable students to develop positive, nurturing relationships with adults. Most of our students are multi-cultural, from many different ethnicities and backgrounds. While most students segregate by race in their lunchrooms and classrooms during the school day, they can be encouraged to work together in after-school programs. Through icebreakers and team projects, after-school programs can give youth the opportunity to work with students they don’t know, and who might be very different from them culturally. This can help to increase knowledge and comfort with diversity in ethnicity, culture, and social class. In terms of risks, I think it is important to maintain the “fun” in after-school and not try and make after-school programming more of the school day experience. Kids need choice and voice in the planning and programming of their after-school programs. It is also important to keep in mind what the goals for after-school programming are so that evaluation measures the impact on attitudes, confidence, self-efficacy and interests in STEM studies and careers. 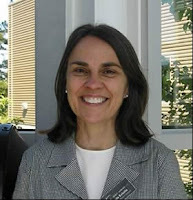 Linda Kekelis is the Executive Director of Techbridge. As an advocate of girls' engagement in science, technology, and engineering, Linda has been a Principal Investigator on five NSF-funded projects that have supported out-of-school programs for girls and training and resources for role models. She has translated research into practical applications for parents, teachers, and role models. She serves on numerous panels and advisory boards for programs designed to increase the participation of females in technology and engineering. Linda also has conducted research on children with special needs and has published resources to promote the development of children who are visual impaired. She has a Master's degree in Linguistics from the University of Southern California and a Doctorate in Special Education from the University of California, Berkeley. Q: Techbridge is a program that has attracted national attention. Could you say a word describing the program and highlighting why it has attracted so much attention? 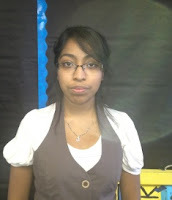 A: Techbridge empowers girls to realize their dreams through science, technology, and engineering. Techbridge offers after-school and summer programs with hands-on projects, career exploration opportunities, and academic and career guidance to expand girls’ interests and options. Since 2000, Techbridge has served over 3,000 girls in grades 5-12 primarily in socio-economically disadvantaged areas in Oakland and surrounding communities. 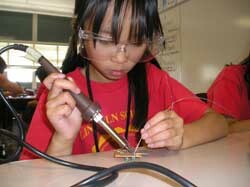 Curricula are developed with input from girls and findings from the research community, and include projects like Electrical Engineering, in which girls build solar night lights and learn about circuits; Chemical Engineering, in which girls work with polymers to create bouncy balls and learn about the engineering design process; and Clean Tech, in which girls build solar cells and learn about renewable energy. Techbridge also introduces computer science projects. We don’t want our girls to be just consumers or users of technology, but programmers too. For girls who have limited access to computers at home and school and even more limited exposure to programming, the projects expand their understanding of the promise of technology. By working on hands-on projects such as building robots and designing computer games, girls have a specific goal to work towards, increasing their motivation to persevere and complete a successful project. We promote the “growth mindset” and teach girls that the brain is like a muscle that gets stronger and works better the more it is exercised. We have heard from teachers and parents alike that the strong engagement and motivation that girls demonstrate in Techbridge carry over into their school work and classrooms. For example, we often hear of a girl who started off in Techbridge unsure of her abilities is transformed by her experience in Techbridge. By the end of the year, she is more confident, speaking up in classes and working through problems instead of giving up. Q: Do you expose program participants to experiences beyond the walls of your program? A: While hands-on projects can spark an interest in a young girl, we have found that role models and field trips to worksites are instrumental in getting girls interested in a career in a technical field. The opportunity to see real-world applications of technology, science, and engineering and meet with role models is rare for most of our girls, yet as we have seen, can be a very impactful influence. Techbridge partners with leading technology, science, and engineering firms around the San Francisco Bay Area to bring girls to corporate worksites, where they can see firsthand what engineers and scientists do, and interact with role models who share inspiring stories and provide academic and career guidance. Q: There is a growing interest in exposing youth, especially girls, to STEM activities and careers. Do you help other organizations take on this challenge? A: Through the delivery, evaluation and refinement of its program over the past 12 years, Techbridge has gained a wealth of experience and has become a leader in role model training, working with organizations nationwide. Techbridge’s training and resources are designed to help volunteers effectively engage and relate to youth so that the experience is mutually rewarding. In addition, Techbridge provides training for girl-serving organizations who wish to recruit, train and retain role models for their programs. These resources are available free of charge on the Techbridge website, for organizations or individuals seeking help in these areas. Techbridge also has a partnership with Girl Scout councils nationwide to provide programs-in-a-box and trainings for Girl Scout staff, leaders and volunteers. This partnership has scaled up to 15 councils nationwide, with an estimated reach of over 15,000 girls by 2013. Girls Go Techbridge is providing training and engineering activities and supporting the capacity of councils to work with partners like the Society of Women Engineers to introduce many more girls to engineering. Q: There are those who claim that real learning takes place within the school day and the learning in youth programs outside of school lacks rigor. How do you know whether or not you are being successful? A: We take evaluation seriously and invest time and resources into measuring the impact of all that we do. The evaluation goals of Techbridge are to 1) increase students’ technical and scientific skills; 2) increase confidence levels; 3) enhance academic and career guidance to expand career options; 4) promote greater interest in careers in technology, science, and engineering; and 5) develop a strong and effective network of support for girls by offering training and resources to teachers, role models, families, and partners. Techbridge utilizes both quantitative and qualitative evaluation methods to track progress toward achieving our goals. These include pre- and post-surveys, focus groups with girls, teachers, and families, and program observations and coaching. Our outside evaluator collects and analyzes data for the programs. Evaluation results demonstrate the success of Techbridge. Last year, 95% of participating students knew more about how things work (like simple machines), 89% felt more confident trying new things, 95% believed that engineering is a good career for women, 96% knew more about different kinds of jobs, and 89% planned to study harder so they can go to college. We also conducted a three-year longitudinal study that showed evidence of long-term impact on girls: 82% reported a greater interest in a career in technology, science and engineering, 86% had more confidence in themselves, and 87% have more career options than they otherwise would have as a result of having participated in Techbridge. Q: Can you tell us about the recognition that Techbridge has received because of its innovation and success? A: Techbridge has been nationally recognized for its work. In 2011, Techbridge received the Inclusion Champion Award from Mitsubishi Electric America Foundation for supporting students in STEM who are visually impaired. Techbridge’s Executive Director spoke at a White House Convening for the Educate to Innovate initiative on the importance of role models for promoting girls in STEM fields. In addition, Techbridge was featured by Bayer Corporation in a national forum showcasing best practice K-12 STEM education programs. In our last blog post, we featured two LIAS Youth Ambassadors from Azusa High School who talked about their experience at the CalSAC Afterschool Challenge. They traveled to Sacramento to advocate for afterschool programs by offering training to other youth participants, hosting an evening youth social event, and sharing their personal stories with California Legislators. June 21st is National Summer Learning Day. Please consider allowing staff and youth to travel to Sacramento to support and celebrate summer learning opportunities. Summer Matters will host a rally on the North Capitol steps beginning at 10:00am, followed by science, technology, engineering and math (STEM) student activities on the Capitol lawn. Picnic lunch begins at noon. Participants include State Superintendent Tom Torlakson, students, teachers, education officials, policymakers and more. Please RSVP to Beth Zygielbaum at beth@partnerforchildren.org or 510.830.4200 x1602. For more information on California's Summer Matters Initiative, visit their website. For a video on the value of summer learning, click here. During the month of March we were selected for the great opportunity of going to Sacramento for two days to attend a conference and meetings on afterschool programs. On Monday May 21st we arrived in Sacramento around 10am. 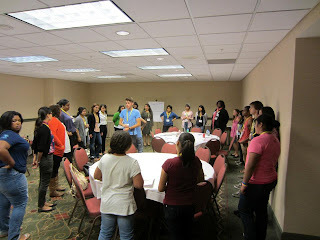 Much of the conference was led by high school youth, who were Learning in Afterschool & Summer Youth Ambassadors. We were introduced to what we would be covering over the next 28 hours. We also were given the opportunity to see the people behind the event, CalSAC. In this meeting we heard other people share their afterschool program stories, their afterschool achievements, and the importance of these programs. In the meeting we also covered the budget cuts that the assembly members and senators were discussing. The woman in charge of the meeting explained to us how it was being considered that those who have a low income would only have the opportunity to participate in afterschool programs. This was ruled unfair because then the kids who do not come from a low income family would not be able to have the afterschool experience, and just because they don’t come from a low income family does not mean their parents can afford to put them in afterschool care. During this meeting, we discussed that we were going to be marching to the capitol. After our group meeting the youths were separated from the program leaders to discuss what they would be doing the following day. We met with kids from other schools and programs from within the state of California. In this meeting with our fellow students we were able to learn a little bit more about the big impact that afterschool programs have on children. Many of the programs were just beginning their journeys at the schools within their district. Even though all the programs had different names, they all stood for one purpose – to provide a safe environment for which kids can receive help and at the same time enjoy themselves. Speaking to the others kids and sharing our experiences at our schools and in our programs gave us knowledge on how important these programs are to them and their schools. The impact that these programs have had on these students within these schools is apparent. 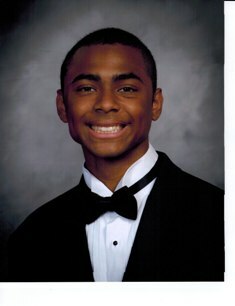 For example, there was a student from the LA County who had a classmate stabbed at the beginning of the school year. The afterschool program provided the students with the emotional support they needed in order to overcome the fatality. Because of the afterschool program the students were able to be more aware of their environment and realize there is a safe place available for them. Later we were informed of the next day events, where we would meet the staff members of the senators and assembly members. We would discuss issues about the afterschool programs and how crucial it was to maintain program funding and prevent budget cuts. The next morning we discussed how we would approach the issues to the government officials. We were separated into groups in our districts so we could all relate to each other and the staff. We went over their profiles in order to get a better understanding of their background in comparison to ours. Then we were appointed certain jobs and had the task to choose which one we could most relate to. Based on that, we came up with separate stories in which we told our own experiences at the afterschool program. After this we were led in a rally with an elementary school marching band ahead of us. We marched to Capitol Hill, and stood in front of the capitol with posters and leaders surrounding us. We then went inside ready to tell our stories and how afterschool programs have a great importance in our lives. We spoke to about six staff members such as, Chris Corgas representing Curt Hagman from the 60th district, Mary June Flores with Roger Hernandez from the 57th district, and lastly Annabel Snider representing Ed Hernandez from the 24th district. All of them were considerate of our issues, some more than others. We had the opportunity to get their contact information and invite their senators to meet with us at our school in the near future. Overall, it was a very good experience that would have not been available if it wasn’t for the THINK Together program (our after school program) and the Learning in Afterschool & Summer project. This trip really helped us realize that afterschool programs have made a great impact in our lives and other student’s lives. It has impacted our futures and has guided us on the path to success. As young adults we tend to take things for granted and this was an experience for us to share with others, the importance of afterschool programs. We expect our program will continue to prosper even after we’re gone and it will continue to make Azusa High School a better place. A child’s need for meaningful learning and enrichment experiences does not end in June when the school doors close for summer vacation. All children need to be engaged and active during the summer months in order to be on track when they return to school in the fall. Whether these needs are being met may boil down to a child’s neighborhood or family income level. Without summer learning opportunities, children—especially children in low-income communities— can fall dramatically behind academically. More than 100 years of research about this phenomenon – known as summer learning loss –paints a clear and compelling picture. A longitudinal study from Johns Hopkins University found that low-income children lose about 2 months in their reading levels each summer. By 5th grade, the cumulative learning loss puts them nearly three grade level equivalents behind their more affluent peers. 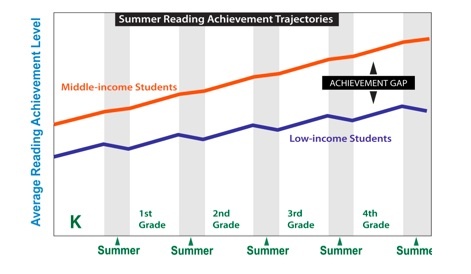 Unequal summer learning opportunities during elementary school years are responsible for about two-thirds of the ninth-grade achievement gap between lower- and higher-income youth. As a result, low-income youth are less likely to graduate from high school or enter college. Given this data, communities across the country are working hard to build high quality summer learning opportunities. They are quickly discovering that summer is the perfect time to put the Learning in Afterschool and Summer principles into action. Children don’t need or want more traditional school time during the summer. In fact, because summer programming is often voluntary, many children and youth won’t participate unless their experience is fun and engaging. In Making Summer Count, researchers from the RAND Corporation found – not surprisingly – that consistent attendance is a key indicator of a program’s ability to impact participant learning. Summer learning programs have to inspire and motivate in order to succeed. Besides the imperative around attendance, the time and flexibility in summer programming also lends itself well to the LIAS principles. · Learning that is Active - Summer curriculum can involve long-term projects that allow students to experiment, explore and discover. Projects that might take too much time or are too complicated for the school year become possible during the summer. 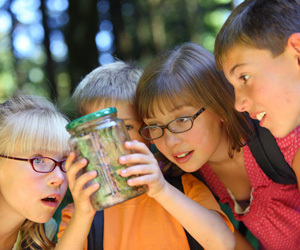 · Learning that is Collaborative – Quality summer learning programs encourage participants to experiment, explore and discover together. Throughout a summer, participants can be placed in a whole variety of different groupings that allow them to learn from each other, practice communication and negotiation skills and feel ownership for their work. · Learning that is Meaningful - While quality programs plan their schedule and curriculum before summer begins, well-trained staff know how and when to adjust lessons and schedules to respond to participants’ interests and to allow deeper inquiry and the expression of youth voice. This flexibility ensures that activities and projects are meaningful to participants. · Learning that Promotes Mastery – More time means more opportunity to support participants in building skills, particularly around projects that they want to be doing. Quality programs provide opportunities for participants to showcase their skills and accomplishments. · Learning that Expands Horizons – Summer is also a natural time for programs to expose participants to new people and places. Visiting artists, lecturers and teachers offer different perspectives, ideas and experiences. Field trips allow participants to visit places – even in their own communities – that they may never have seen and where they are able to return after the program ends. Many summer programs take young people on their first overnight camping trips, which is invariably an awe-inspiring, bonding experience for participants. National Summer Learning Association, 2009. Sloan, Jennifer McComb, Making Summer Count, RAND Corporation, 2010. Katie Brackenridge is Senior Director, Out of School Time Initiatives at the Partnership for Children and Youth. She joined the Partnership in 2004 and directs the Out of School Time initiatives. She has helped hundreds of school and community-based after school programs develop sustainability plans, plan and submit 21st CCLC and Prop 49/ASES grants, access additional funding sources and improve their program practices for after school and summer programming. Katie also supports the Partnership’s work to develop and improve policies that make out-of-school-time programming more accessible and effective. She serves as Co-Chair of the Quality Committee of the California Afterschool Network, working to advise and inform the Network, the California Department of Education and other stakeholders about systems and strategies to support quality programming across the state.